This tour of Kent is a fabulous introduction to the English countryside for those living in mainland Europe. Kent is the English county closest to the continent, easy to reach with a short ferry crossing or just 35 minutes through the tunnel under the English Channel. Kent is known as the Garden of England, with orchards, vineyards and fields with hops but also many other attractions, imposing cathedrals, beautiful castles and stunning gardens – all connected by scenic country lanes. Drive to Chilston Park Hotel. Settle into your room and enjoy a delicious dinner in the restaurant (not included). 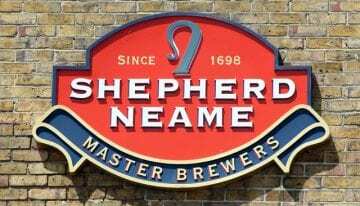 Enjoy a visit to Faversham, with its half-timbered houses, a 16th-century Guildhall and, in the centre of this market town, England’s oldest brewery, Sheperd Neame, dating from the 13th century. It is possible to tour the brewery. Then proceed to Whitstable, renowned for its oyster culture and excellent little fish restaurants, and then pass through Herne Bay, which features a typically-Victorian two-mile seafront. Continue on to the oldest of the Cinque Ports, Sandwich, with its windmill and folk museum. One of the highlights of the tour is, without doubt, Canterbury, which is worth a lengthy visit to see the world-famous 11th-century cathedral and historical town centre. Return to the hotel in the evening. Recommendations for restaurants and pubs for dinner are suggested in the tour book. Take a scenic route via the famous gardens of Sissinghurst, created by Vita Sackville-West. Then continue to the pleasant town of Cranbrook, with its many 18th century buildings. Drive to Scotney Castle (National Trust) with its beautiful gardens, and then on to Lamberhurst, once the centre of the Wealden iron industry. Just over the border in East Sussex, discover Burwash, an outstandingly attractive village of 16th and 17th-century houses. 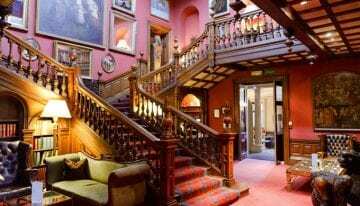 Nearby is Bateman’s, the home of Rudyard Kipling, which provided inspiration for much of his work. Then explore the beautiful Bodiam Castle – a medieval, 14th century, moated castle. This fairytale castle is one of Britain’s most romantic and picturesque, set in the heart of 1066 country. With spiral staircases, battlements and a portcullis, 14th-century Bodiam Castle is the real thing. Windows where arrows were once fired, a tower that was once a look-out and ruins that were once walked upon by knights. Great Dixter was built by famed architect, Edward Lutyens, and the house is also widely renowned for the fantastic gardens in the arts and crafts style.The route then winds on to the C.M. Booth Vehicle Museum, which houses a large collection of early 3-wheeled Morgans as well as many other British marques. Drive on to Tenterden, the pearl of the Weald with its white, weather-boarded houses along the shopping street. 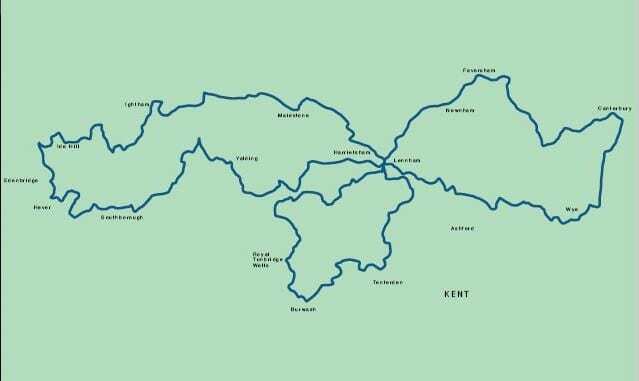 The town is also starting point for the Kent and East Sussex Railway, a lovely old steam train which leads to Northiam. Continue on to the Biddenden Vineyards, one of the seven wonders of the Weald part of Kent and boasting a one-star Michelin restaurant. Return to the hotel. Enjoy a scenic tour via the Great Comp Gardens, a 17th-century manor house surrounded by 7 acres of exotic gardens, which were created from 1957. Then continue along to Ightham Mote, a stunning moated manor house dating from 1372, which is now part of the National Trust. The tour then continues to Knole, near Sevenoaks, one of England’s most important houses with an extensive collection of historic furniture and its medieval deer park. Visit Chartwell, Sir Winston Churchill’s home near Westerham and now in the hands of the National Trust. 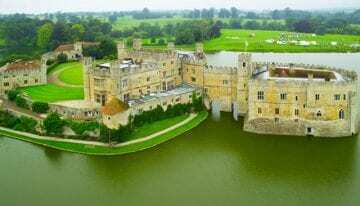 Just a few miles further is Hever Castle, a charming small castle and the birthplace of Anne Boleyn, Henry VIII’s second wife. Half the castle has been furnished in the early 20th century, as have the gardens with an Italian addition. Chiddingstone, to the east of Hever, is a beautiful village, owned in its entirety by the National Trust, including Chiddingstone Castle. Then continue to Penshurst, a small village with stone houses and a magnificent church. Discover the gorgeous Leeds Castle. There has been a castle on the site since 1119 and owned by a number of English kings, but the castle seen today dates mainly from the early 19th-century after some extensive remodelling by a previous owner. Depart for home. The routes in this tour are all centred on just one hotel, so there will be no unpacking and repacking during the trip. 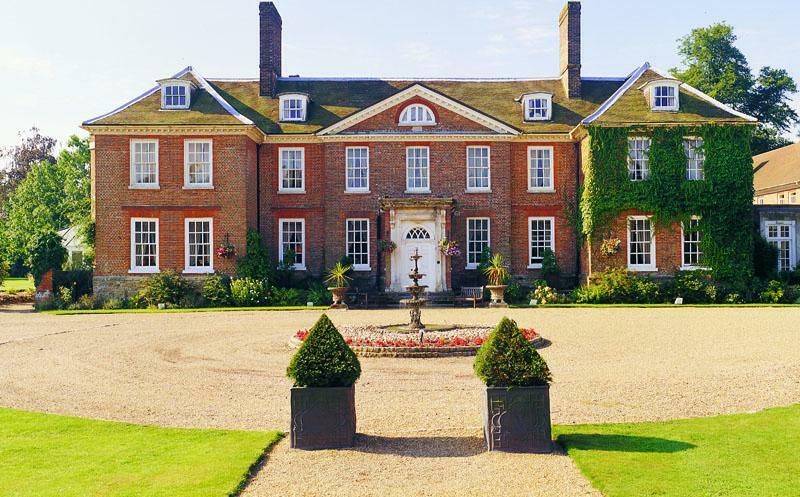 Chilston Park Hotel, Lenham Once the home of Lords and politicians, this 17th century luxury hotel is set in its own 8 hectare parkland. The interior has been sympathetically converted with many of its original features , artwork and furniture remaining. The restaurant has been awarded 2 AA rosettes and a full English breakfast is served every morning. All bedrooms have en-suite bathrooms and TV.